Bournemouth University (BU) is a modern and innovative institution with six distinctive Schools and over 16,000 students with a significant proportion of international students from around 120 countries. BU has maintained its position as one of the UK’s leading ‘new’ universities for many years. The main applicants are based in the School of Tourism (ST), School of Health and Social Care (HSC) and School of Design, Engineering and Computing (DEC) and therefore represent pan university expertise and disciplines. Within the School of Tourism, the research work most relevant to this proposal is carried out in the Foodservice and Applied Nutrition Research Group which is the leader of this project. Other research centres involved are the Health and Wellbeing community (HSC) and the Psychology Research Group (DEC). The expertise of these centres is relevant to the project and spans the domains of public sector foodservice, health promotion, psychology and consumer studies. Bournemouth University has a long and successful track record of working in partnership with business and industry to deliver and support knowledge transfer. Aalborg University (AAU) created in 1974 through a merger of a number of well-established institutions. AAU is one of the youngest Danish Universities, although its oldest study programme dates back to 1768. In the past 20y it has been developing and expanding, strengthening its position as a network university, with 6 faculties and 18 Departments, and positioned itself within the 200 best world Universities in Engineering and Technology. AAU is characterised by its well-reputed education form of problem based project work, and by extensive collaboration with the surrounding society. The newly created Meal Science and Public Health Nutrition (MENU) Research group at the Department of Development and Planning contributes to the MSc in Integrated Food Studies, and approaches in a multidisciplinary way the fields of public health nutrition and meal sciences, particularly meals consumed out of home in captive settings such as canteens in schools, elder care and workplaces, and their impact on obesity, lifestyle-related diseases and social inequalities. MENU is part of the Department of Development and Planning. AAU has a long and successful track record of working in collaboration with regional and national educational institutions in Denmark (including the opening of branches in other cities), as well as the creation of consortia and collaboration networks with other national and international universities. Aalborg University is the Danish leading university when it comes to knowledge transfer between academia and industry. AAU’s goal is that the knowledge generated by researcher would benefit businesses and society in general. The Department of Planning and Development has invested in new premises located in Copenhagen that are available to staff, researchers and students. More specifically, in the past year, it has approved a budget of approx. 130.000 € for the equipment of the FoodScape Lab. This brand new installation will allow to combine visual IT aided data collection (using NOLDUS FaceREader ® and Observer XT ®) with compatible food intake measurements from METTLER TOLEDO scales ®. Dipartimento di Gestione dei Sistemi Agrari, Alimentari e Forestali, (GESAAF). The University of Florence is one of the largest organizations for research and higher education in Italy, with over 1900 tenured teaching staff and researchers, over 1600 permanent technical/administrative staff and language assistants and over 55 thousand students enrolled. The University consists of 12 Faculties organized in several schools: Agriculture, Architecture, Economics, Education, Engineering, Law, Liberal Arts, Medicine and Surgery, Mathematics, Physics and Natural Sciences, Pharmacy, Political Science, Psychology. Scientific research is carried out in the 24 Departments of the University, grouped into 5 major areas: Social Sciences, Humanities, Scientific, Technological and Biomedical areas. A large part of the yearly budget is allocated to scientific research. In the recent past the University of Florence has been ranked top among Italian Universities in the distribution of national research funds. The GESAAF is a multi-disciplinary department including competences in environmental, agricultural, economy and food sciences. The Food Scienceand Technology division include a Sensory Science Unit. The division covers the course “Sensory evaluation of food” (6 credits) in the degree in Food Technology; the course “Consumer Testing” Master in Food Science and Technology and the course “Food Acceptability”, Master in Food and Nutrition Science. FI sensory group is nationally and internationally recognised in the sensory science community. The unit promoted the constitution of the Italian Sensory Science Society (2002) and in 2011 the constitution (in Florence) of the European Sensory Science Society that includes 12 national sensory science societies from Europe. Bonduelle (BON) is a food industry producing and selling processed vegetables. The main technologies used are canned, frozen and chilled. It operates around the world, and provides work to over 6000 people. The vegetables are manufactured in 58 factories. More than 100 people (researchers, engineers, technicians) work on R&D purposes, with different disciplines: technologies, environment, packaging, ingredients, plant physiology, nutrition, and sensory & consumer science. Bonduelle has 4 research laboratories, and 2 pilot test labs. A significant part of Bonduelle’s turnover comes from the Food Service business (25% in Europe), and it remains a very dynamic market for the Bonduelle Group. 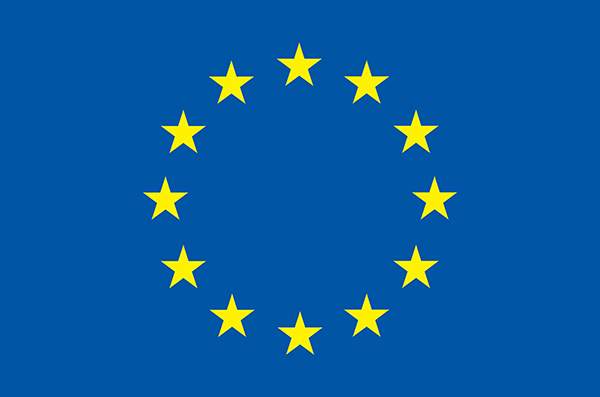 The research team of the Bonduelle Group is used to working with academics in Europe, and building partnerships with other research teams. (France (Lille, Paris, Marseille, Dijon), Belgium (University of Ghent), Spain (University of Zaragoza), Italy (University of Campobasso), UK (University of Birmingham)). Our added value: our knowledge of the market, and the needs of the consumers. Our programmes for our food service customers help people to eat more vegetables: consumer education. The feedback we receive from consumers / customers helps to orient our research programmes. The research team have participated in several scientific seminars and congress in nutrition (2011: FENS, Madrid (Spain), JFN (Reims-France), 2012: JFN (Lyon- France), sensory and consumer science (2012: Pangborn (Toronto-Canada), Eurosens (Bern- Switzerland). Founded in 1990, the Institut Paul Bocuse trains the professionals of tomorrow for Hotel, Restaurant and Culinary Arts careers. This prestigious institute offers a unique blend of refined tradition, contemporary quality and cutting-edge innovation. It teaches time-honoured techniques and modern management skills to meet the current and future needs of the foodservice and the hospitality industry around the world. The research centre examines the fundamental concepts that are central to the Hotel, Restaurant and Culinary Arts professions and identifies new paths through multidisciplinary scientific research. The Institut Paul Bocuse Research Centre focuses on the relationship between people and food. This resolutely humanist approach underpins three fundamental areas of research: (i) The pleasure of meals, tasting and dining as an “art de vivre”, service, welcome and hospitality are all part of creating a memorable quality experience, (ii) Health and nutritional balance, physiological and psychological well-being for the different actors who contribute to this experience, (iii) Organization, management, marketing and business models with an individual and entrepreneurial scale. The research facility of the Institut Paul Bocuse Research centre provides a unique setting allowing testing for actual eating situations. The heart of the Research Centre is a fully modular experimental platform that provides a unique combination of flexibility and innovation. It includes a restaurant and a state-of-the-art kitchen with high-tech equipment, including high-yield preparation materials. The experimental restaurant is designed to replicate actual consumption conditions. Both the floor and ceiling of the restaurant are modular to adapt to different equipment configurations, allowing for the construction of different eating contexts. The research team is thus able to create every type of restaurant environment: traditional, collective, brasserie, cafeteria. This includes changes in the ambiance and décor with adjustable temperature, sound system, visual environment, lighting, etc. Behavioural studies are made possible by the presence of both portable and table-top cameras and microphones which are used to record activity in the restaurant dining room and in the kitchen. These tools will be mobilised in the context of the project, in order to illustrate in a concrete manner the methods and challenges evoked in the course. 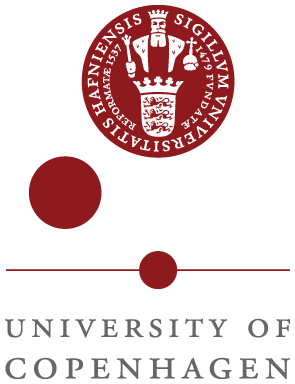 The University of Copenhagen (UCPH) has about 40.000 students and 9.000 employees; it is one of biggest research and educational institutions in the Nordic countries. The goal of UCPH is to be recognized for a high level of research, to offer research based educations at the highest academic level, and to communicate knowledge to the scientific community as well as to the community.